A new round of reform in the U.K.
A new government steps into power and immediately mounts an overhaul of the nation's healthcare system of historic proportions. The changes are promised to improve the efficiency and quality of care while eliminating waste in the system. This is Britain now, not the U.S. circa 2009. The government in power barely two months this month issued a blueprint for radically restructuring the National Health Service, the country's government-run health system, wiping out wide swaths of bureaucracy and putting the bulk of the money and decisionmaking in the hands of groups of primary-care practices. The overhaul is intended to rationalize the use of the healthcare services in the system, in which patients pay nothing when they seek care yet historically, and famously, have endured long waits to see specialists and get elective and nonemergency treatment. The thinking behind the reorganization is reminiscent of what's driving several features of the Patient Protection and Affordable Care Act in the U.S., such as accountable care organizations—in which tightly integrated networks of physician practices and hospitals could be rewarded for delivering high-quality and low-cost care to Medicare patients—and patient-centered medical homes, in which primary-care physicians receive extra reimbursement for taking on a greater role in coordinating care. Compared with the long political slog of U.S. healthcare reform, there is little question that the British government will get the legislation required to move forward with the plan outlined in a white paper titled Equity and Excellence: Liberating the NHS. The restructuring is seen as a giant leap forward in the general direction of reforms introduced during the Conservative administration of Margaret Thatcher and then reversed and refashioned under the Labour Party's Tony Blair, which sought to inject greater competition and choice into the system. In 2002 the system erected 152 local bureaucracies called primary-care trusts that were intended to decentralize the administration of the National Health Service. The primary-care trusts, though fully operational only a few years, are now slated to be scrubbed, as are the 10 strategic health authorities responsible for overseeing them, hospitals and other aspects of the NHS, which was established in 1948 and now has a budget of about $168 billion. Britain spends about 7.2% of its gross domestic product on the NHS compared with 7.8% of GDP the U.S. spends on government health programs, principally Medicare and Medicaid (total health expenditures in the U.S. account for 16% of GDP). The plan assumes roughly $31 billion in efficiency savings by 2014, in part by cutting 45% of the government's management costs. The underpinning of this bureaucratic housecleaning is that primary-care physicians in general practice, known as GPs, will be better stewards of the system than government workers, even ones ostensibly working closely with local populations. The primary-care trusts haven't been up to the task. “They were relatively weak bodies in the sense they weren't highly specialized staff,” Glennerster says. They are responsible for negotiating contracts with NHS hospitals, but the hospitals held greater clinical expertise and overall clout. Under the planned restructuring, GPs will be required to form and join consortiums that will control the spending for healthcare services. The consortiums will have a budget for each patient enrolled with member GPs, out of which they will pay specialists and hospital care. A new independent board will monitor each consortium's health outcomes, patient satisfaction and the use of resources, as well as address inequalities across the system, with an emphasis on data and transparency. That doesn't mean that primary-care physicians will get rich by refusing to send patients up the chain for care. In the NHS, physicians are paid from a flow of funds that are segregated from their patient budgets. They can increase their pay by meeting quality and patient-satisfaction benchmarks, but not by performing more services or, in the case of the proposed reforms, withholding specialty care. The shift is premised on the belief that the physicians are better able to hold hospitals accountable and coordinate care for the chronically ill.
Michael Sachs, chairman and CEO of healthcare information firm Sg2, based in Skokie, Ill., says his experience working with primary-care trusts likewise indicates they had so far failed to deliver on their intended function. “What they're assuming is, the GP will be the smart buyer,” Sachs says. One very big question, however, is whether general practices have the business wherewithal and desire to assume the new functions and responsibilities envisioned for them through the consortiums. The British Medical Association has cautiously embraced the reforms. 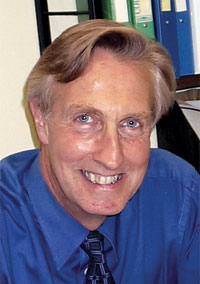 “While this is clearly a potentially huge opportunity for GPs, we recognize that it could also be a major threat both to the current form of general practice and even to the NHS as a public service,” the chairman of the society's general practitioners committee, Laurence Buckman, wrote in a letter to members last week. Regarding the possible emergence of practice-management companies, the Commonwealth Fund's Osborn suggests, “That's fine, but what kind of costs would that add?” And that question, she says, raises a larger one. Even if the NHS eliminates bureaucrats, won't the government still have to pay someone else for the work they did, even if they were doing it inefficiently? With the U.S. moving broadly toward a more national healthcare system and Britain is moving to decentralize the national system erected over the past six decades, the Heritage Foundation's Robert Moffit called this moment a “cultural and historical curiosity.” Moffit, senior fellow in the Center for Health Policy Studies at the conservative think tank, says he was surprised by at the level of flexibility on the proposed structure.